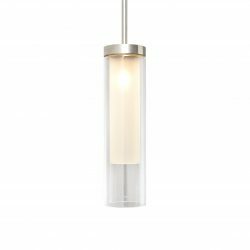 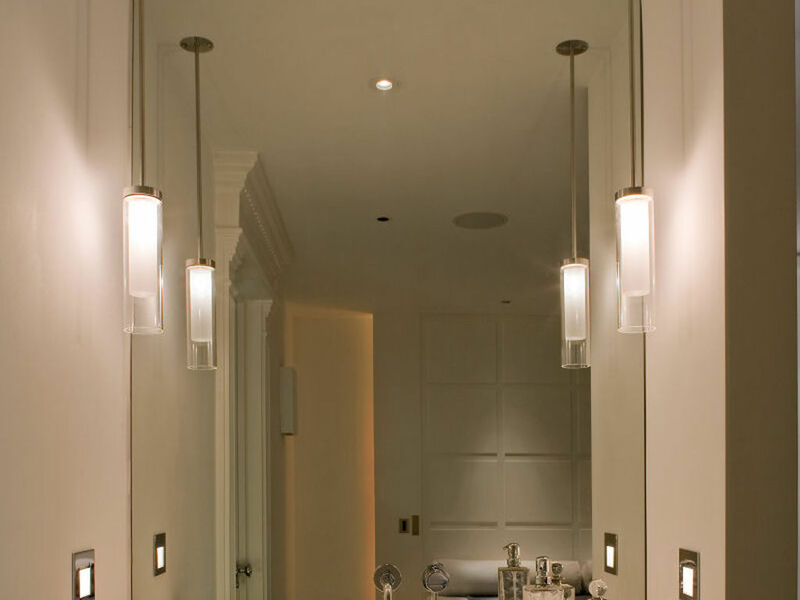 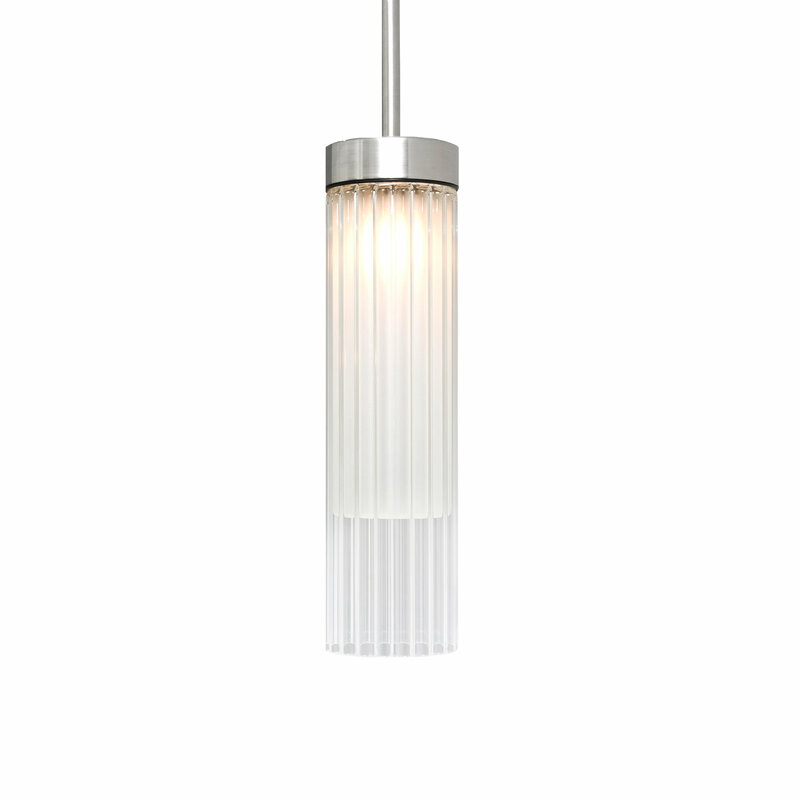 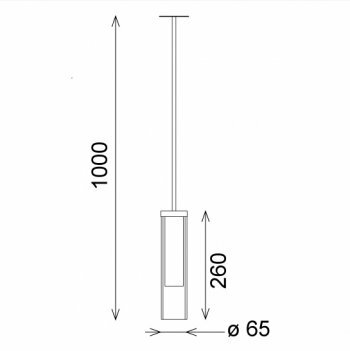 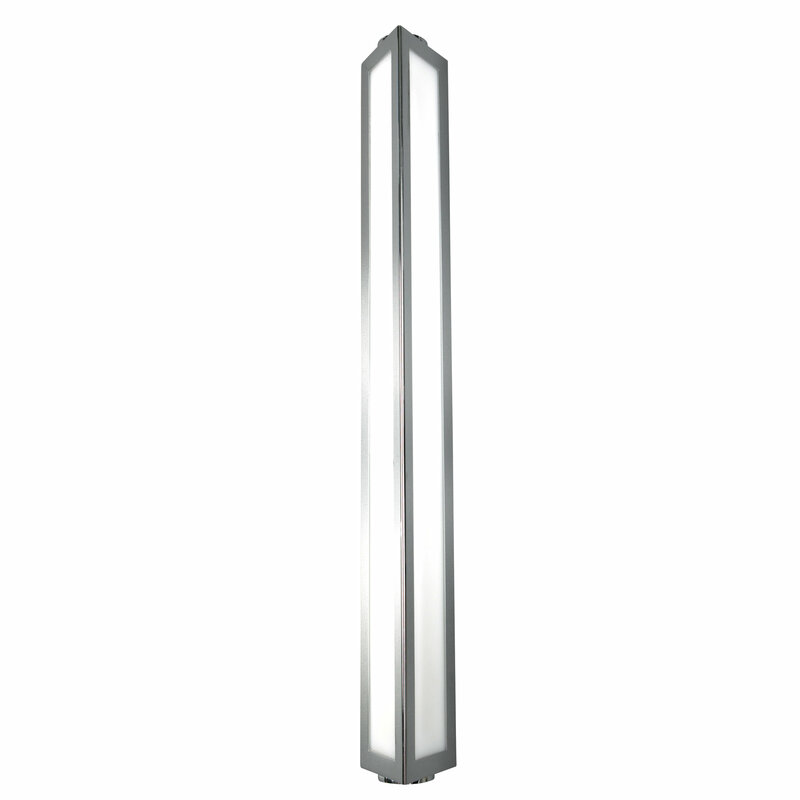 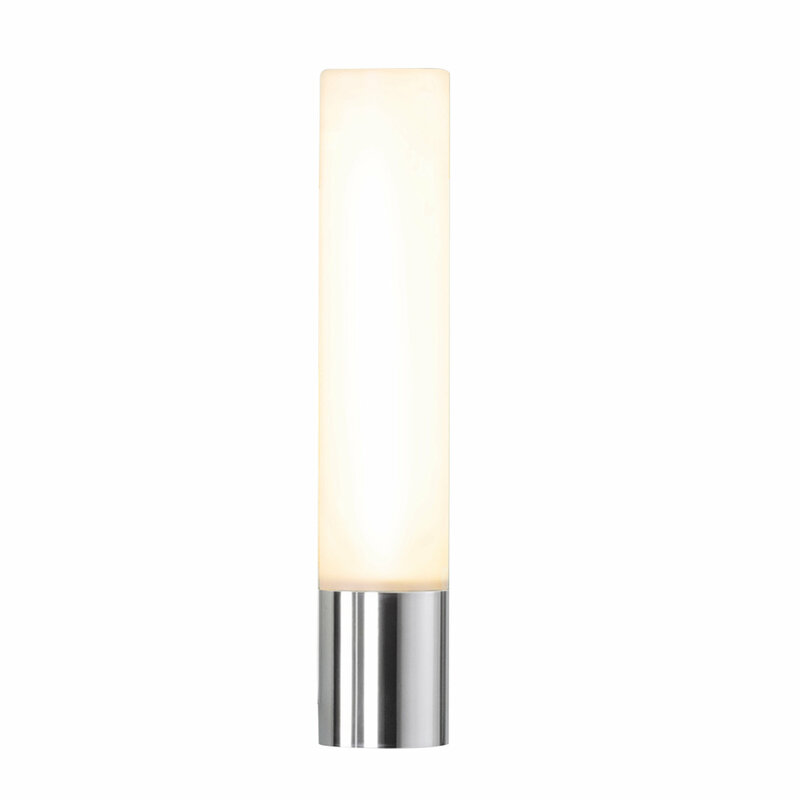 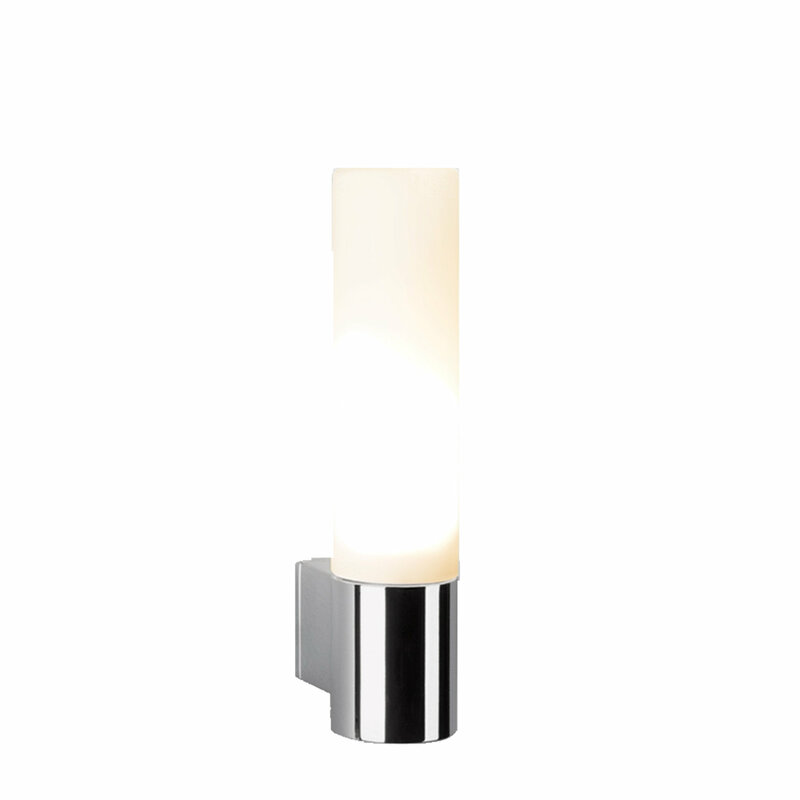 The Grissini is a ceiling mounted ribbed halogen bathroom light pendant ideal for either side of a mirror in a bathroom. 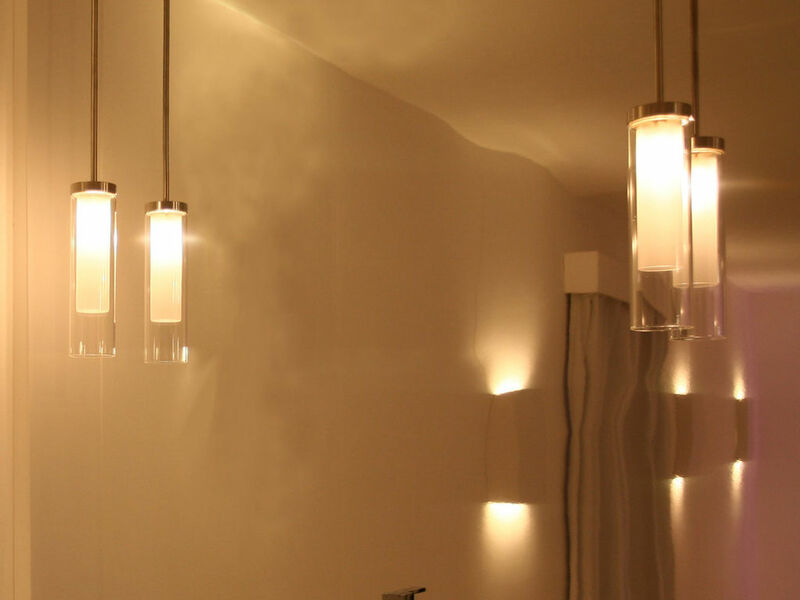 Glass is frosted producing a softer lighting effect. 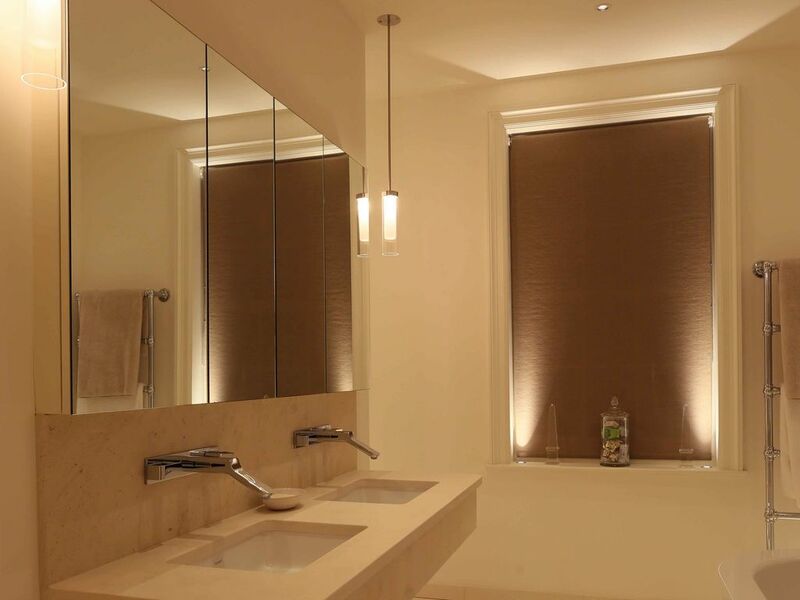 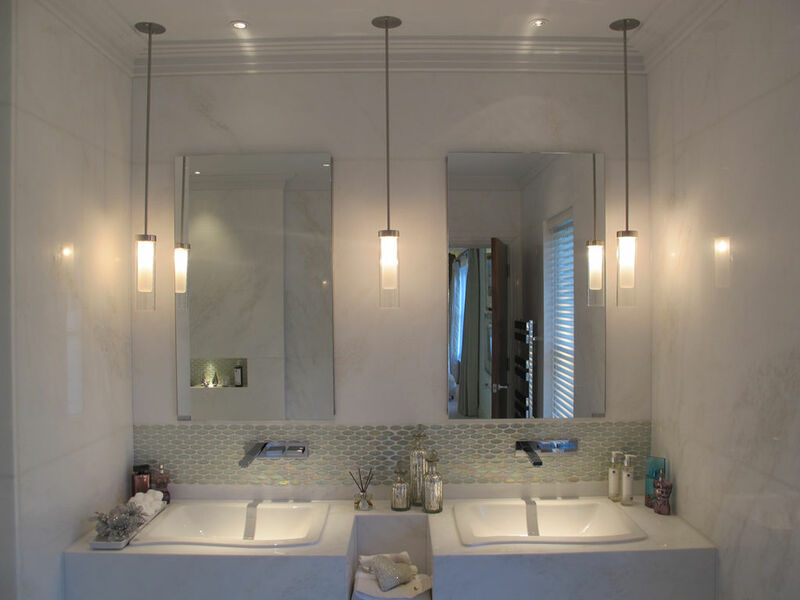 Hang one either side of a basin for ideal bathroom lighting.